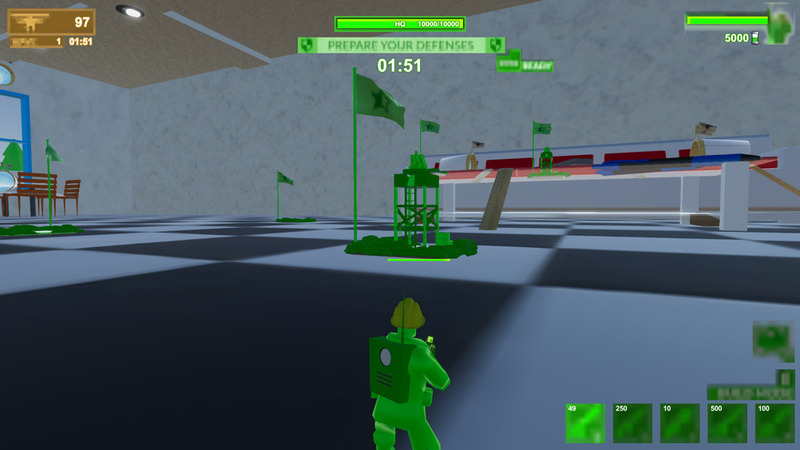 "An action packed game of toy soldiers." 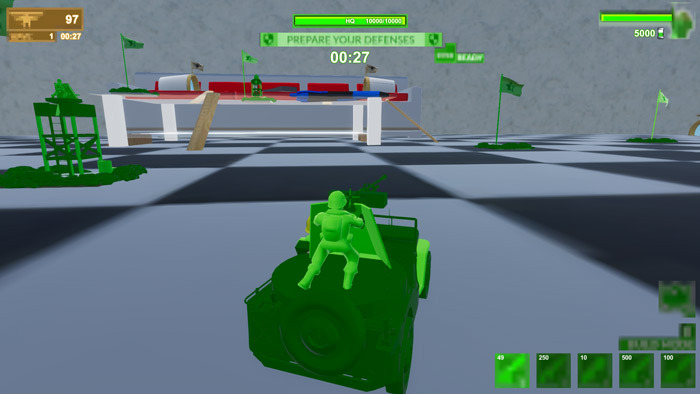 Attack on Toys is an army themed action game where you play as a toy soldier and must command your troops as other armies come and attack your toy room, you can also drive and pilot vehicles in the game so you will need to plan your strategy, do you attack from the ground, a car or from the air? When the first wave of toy soldiers start descending towards your HQ you would be forgiven for thinking that this is an incredibly easy game as wiping the first lot of troops is fairly easy especially if you have one your fellow soldiers manning the giant gun on top of one of the jeeps, however after the regular troops are down they are followed by other toys which are three times the size of toy soldiers and this is where the fight starts to heat up. Even after you have dealt with the giant toys, the second wave is a lot harder and here you will need to start putting strategies in place especially as it is much more likely you will have lost some loyal troops by now! 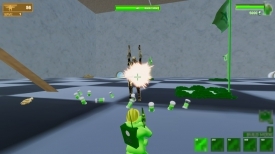 Attack on Toys plays smoothly and looks decent especially for a free game, but it seemed to lack the soul that something such as Ravenfield has, that being said it’s not a bad game even if sometimes the mechanics of driving can feel a little bit off. You can download Attack on Toys here for free.